Eurobricks "To Sail The Technic Sea" (TSTTS) as finished and the winners were already announced. As we can't interfere anymore, it is now the moment to highlight something that impressed me, regardless of all the fantastic models presented by the other contestants. Daniel Martz (dhc6twinotter or avro200) entered with a Piper Super Cub (a two-seat, single-engine monoplane) plenty of complex functions and details. 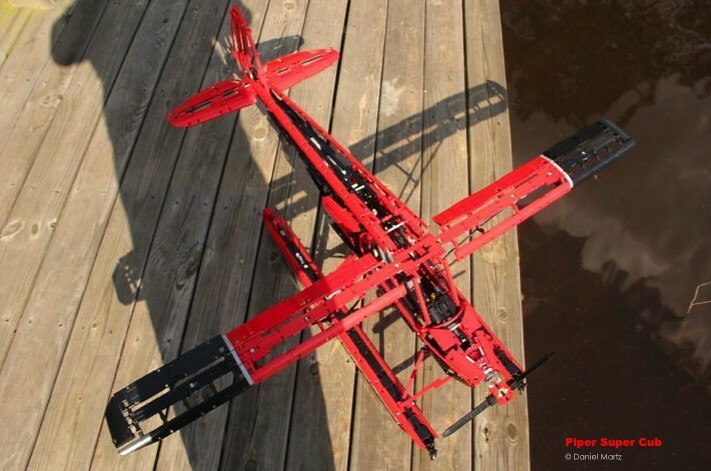 Functions include moving ailerons, rudder, and elevator. Motorized functions include variable pitch prop, engine, flaps, drooping ailerons, and landing gear. If it was not for the model itself, it should have been for the nice video realization and music. 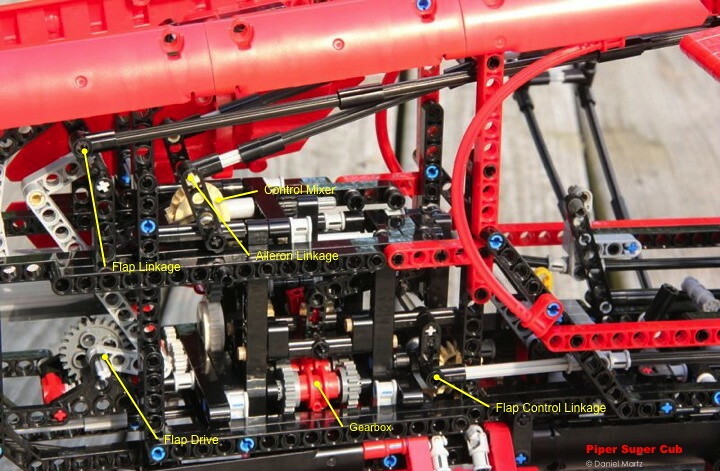 You can find additional photos from Daniel's flickr account and further explanations at the presentation topic from Eurobricks, inclusive the amazing engine with variable pitch mechanism. The Piper became third in the TSTTS contest and I've chosen to highlight this one in first place, because it is probably the most technically advanced model on contest (as Daniel have used us with his amazing models). But of course we should also not forget the other creations the achieved a well deserved first and second places respectively. So lets bring them also here briefly, specially because they are both very unusual LEGO Technic MOCs, thus worthwhile to take a look. 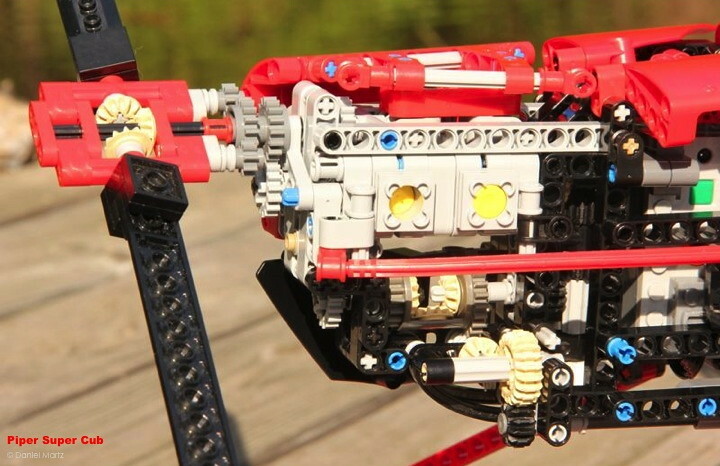 LEGO Technic Water Strider by slfroden (aka Splat), was first. 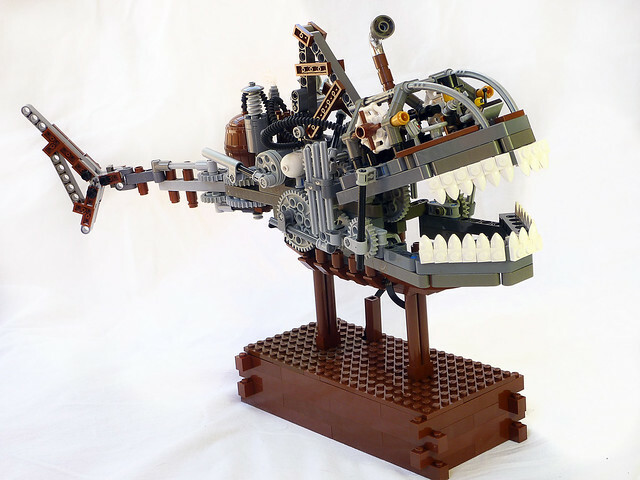 LEGO Steampunk Shark by legobodgers, was second. And many other amazing models, were submitted to this TSTTS contest! It was a tough call, but the supercub was my favorite also. But the water strider being the winner is not a surprise to me, it looks fantastic. Well done to the winners. Daniel's last name is Martz (not "Matz"). I met him at BrickCon 2011 in Seattle, Washingon USA. 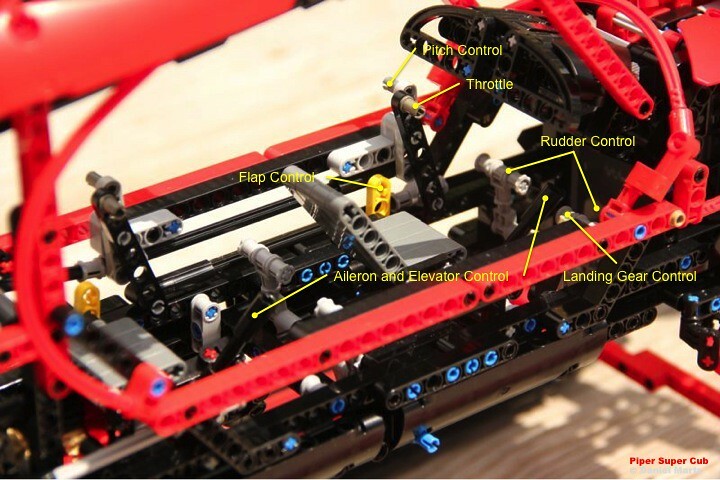 One of the main lessons that I learned from this contest is that there is a huge range of themes for technic models and the official LEGO sets only cover a very small subset of them (mainly cars and construction machines). I agree that there were many great entries in the contest, and I am very grateful to all those that organised, participated, and voted. Just a small thing: my alias on Eurobricks is 'Splat', not 'Spalt'. 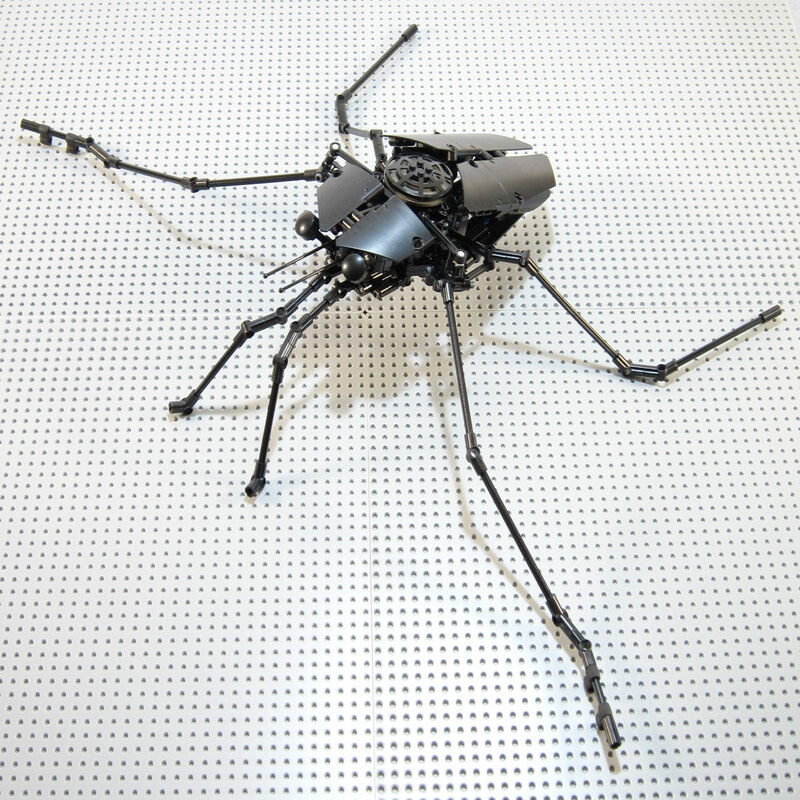 A great model indeed, your Water Strider! I've also enjoyed your concepts with mLAs. Thanks for posting my Super Cub here! What a privilege! I had a lot of fun throwing this plane together for the competition, and I'll definitely be building more planes in the future. Well done DanielM for an excellent plane, getting a mention here on TBs is like a prize in itself! I see it the other way around, guys.